I have said to thee that 2016 is a year of extraordinary change, and those changes, beloveds, are well underway. Open your eyes, open your heart and look around. What is the extraordinary change? What is the most extraordinary change? The change is you. The change is within the hearts and minds and will and alignment of the human beings, of the collective, as they step forth in their knowing and their beingness of love and the action of love. 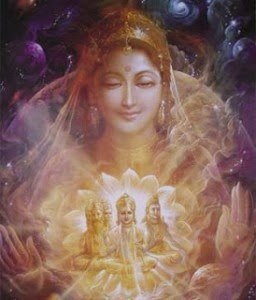 And whether that action is standing, sitting, lying perfectly still and transmitting out to 7 billion people or whether it is nurturing a child or working with the sick and lame, it matters not because of awareness, of the acceptance of surrender and the implementation, integration, of your interdimensional, multidimensional selves. Now, what does this mean in the practical terms that we have so often spoken about? It means, sweet angels, that you are taking the time, the consciousness, to align with Universal Law. Your entire planet, and far beyond the omniverse is governed, as designed by the Mother’s pattern and will, by Universal Law. We have shared this with thee time and time again and certainly Sanat Kumara continues to implement and work this with each and every one of you. But it is the conscious choosing – I now work with the Law of Attraction and Repulsion; I now work with the Law of Above and Below, Within and Without; I work with the Law of Transmutation and Transformation; I work with the Law of Change; I work with the Law of Elimination. And you know what the result of that is? It isn’t sitting around in a church or a temple or a cave feeling holy. It’s walking the streets with each other hugging and skipping and laughing – laughing so hard that you are rolling on the floor. That you are so excited that you can’t wait for the next day because you know the unfoldment lies in front of you. And that the adventure is so big and so much fun, and everything that you have ever dreamed of, that you are embracing it wholeheartedly. Look for the extraordinary change within you and then look, observe, and participate in the extraordinary changes around you. They are there. Identify, expand, embrace and keep going. And go with my love. Farewell.